The millennial generation was for years more reserved when it came to buying homes. However, now the return on investment for real estate is positive and millennials are beginning to make higher salaries, home purchases are rising. Areas such as East Nashville are highly popular for this group and sellers need to take note of the latest millennial buying trends. Renting is beginning to become extremely expensive in several cities which have long been considered affordable. Cities such as Nashville have been inundated with newcomers and the rental market is filled to the brim. 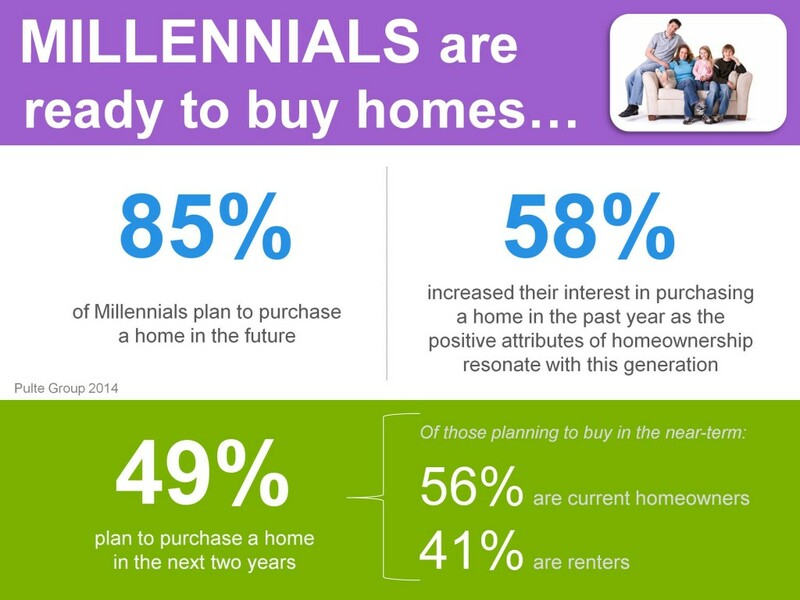 In the survey displayed above, 49 percent of millennials are planning on purchasing a home in the next two years. Within this group, 41 percent are currently renting. This is a huge group of renters who are hoping to start placing their money behind a mortgage. The market needs listings and there are financially sound buyers ready and waiting. The prices are favorable for sellers and the interest rates work well for those who hope to turn around and buy another property. This environment is perfect for sellers since there are several established buyers waiting on more homes to hit the market. If you are considering selling your home this spring or summer, but need more information, please give us a call. We are happy to fill you in on your local market’s trends. Our Definitive Guide to Selling Your Home is also a great resource for those who are selling their home for the first time or for established home sellers needing to fill in any blanks.